Inequality is big, big now, with the post-2015 agenda. It will be picked up and reported in the JMP. We are entering a new space. Good. Ash. Soap or ash for handwashing. A JMP committee was unwilling to mention ash because there has been no study of the health effects, only those of soap, although there is no question that microbiologically it is nearly as good as soap. Let us hope that research will be funded – there are people willing to carry it out. But the big money for HW research comes, I suppose, from Unilever and Proctor and Gamble. There is scope here for funding from others. Ash is poor-friendly - widely available, costless, can be left outside without being stolen or taken by teachers, and is not eaten by goats. But the deeply rooted refrain is ‘handwashing with soap’. Again and again one has to argue for including ash – ‘handwashing with soap or ash’ or for that matter, soil, depending on the soil. ‘Choice is the enemy of behaviour change’. MHM (menstrual hygiene management) was prominent again. Good. Men in the USA are less involved in this than now, it seems, in developing countries. ‘A respected male talking about this works wonderfully’. ‘Disposal with dignity’. Measuring MHM being considered for the JMP but no guarantee this can be done. Gender division of labour. Mary Namwebe reporting on Plan’s gender research in Uganda told us that sanitation had brought changes in the gender division of labour. With latrines women did have more to do, but men as well as women did some of the cleaning and of the fetching of water, and children were sometimes also involved in cleaning. Pictures help children to be change agents with their families. Sara Bresee reported from research in Eastern Zambia that giving pictures to children as part of their WASH-related homework was very effective with families – ‘a child is also a teacher’. When they gave pupils – aged 10-12 – diagrams for making tippy taps, although they were not told to make them, almost all tried! Impact of WASH in schools. Victoria Trinies reported that in Mali a WASH improvement programme in school led to recalled diarrhoea being 23 per cent less likely, and respiratory sicknesses 21 per cent less. But no impact on absenteeism. A finger prick blood sampling test known as Luminex Multiple Assays had been used for detecting blood antibodies and many FTIs (faecally-transmitted infections) but the blood had not yet been analysed months after being taken, raising questions of practicality at scale. All the same it would be good to know more about this, and whether it could be used to detect environmental enteropathy. Three reflections on things that struck me. First, RCTs. I have been, and remain, critical of them for delaying learning, tying up human resources, costing a great deal and facing many practical challenges in implementation. That said, two that were presented were a thought-provoking contrast. One, in Odisha, found that the Total Sanitation Campaign had no health effect – not on reported diarrhoea nor on faecal counts for worms. Subsidies were provided to help people build toilets. This should be another nail in the coffin for the TSC and subsidies, but the Government is perversely increasing it from Rs10,000 to Rs12,000. Some of the significant insights did not need an RCT to find them out: finding that many people prefer open defecation, that there is no stigma attached, that three quarters of children’s faeces are put in garbage dumps, that people are concerned not to fill their latrines up because of issues around emptying them, that women use latrines 5 times more than men or children….for practical and policy purposes intelligent field visits using a variety of methods could have established all one needs to know about these beyond all reasonable doubt – and much more would have come out also – in a week or two. The principles of optimal ignorance and appropriate imprecision apply. Much of RCTs are an overkill. The other RCT in Mali compared CLTS villages with controls. Mali has no hardware subsidies. CLTS in Mali has a reputation of being well implemented – perhaps in the top ten per cent for quality. The general environments in the CLTS villages were cleaner – fewer flies, more covers over pits, soap and water much more present, and so on. There was a big contrast in increased latrine coverage with treatment up to 65 per cent and control only to 35 per cent. The dramatic finding is that while stunting was lower by 13 per cent in treatment villages there was no significant difference in reported incidence of diarrhoea (though a decline in diarrhoea-related deaths, but the numbers were very small). This vindicates good CLTS which stresses behaviour and cleanliness. And points once again to environmental enteropathy and other pathogens being much more significant in their bad effects the diarrhoeas. We have been waiting for these Mali results to be in the public domain for at least a year. Why has it taken so long - over a year I think – for them to be made public? There may be some lessons there. The future: Eddy Perez of WSP gave a rousing and informed keynote on ‘Sanitation: are countries and development partners ready to achieve the future we have defined? ‘. We have to ‘bend the arc of history’ to achieve the Sustainable Development Goal of sanitation for all by 2030. The current rate was 89 million people a year, and for the 2030 target this had to be 216 million – a 250 per cent ratchet up. (And of course much of this in India, with its 60 per cent of the OD in the world). Kennedy gave ten years to put a man on the moon, and it was done in 6. Eddy was optimistic. Sanitation was no longer the forgotten stepchild. There was now high-level support, global advocacy, more sanitation-specific funding, and dramatic change in the World Bank from projects to programmes, which augured well. Reaching the poorest 40 per cent was key. Were we ready to talk about subsidy – can we have this discussion without being yelled at? Can we reach the extreme poor without this? He asked. He threw out ideas for priority areas like children’s faeces, potties, and behaviour change programmes for children’s care-givers, urban sludge which he noted as a huge issue – in Dhaka 98 per cent remained on site, with only 2 per cent going in sewers. And he asked the general question whether we can use the information revolution and internet more and better. Where does this leave us? There is no way good CLTS can be taken to scale in India: the subsidy policy and cultural norms rule it out except on a very limited basis. To achieve ODF conditions there is a precondition: a mega cultural shift. People have to prefer to have latrines or toilets and for all family members to use them all the time. (Or, as someone observed, if there are occasions for OD, then the norm must be digging a hole and covering it over, as I and many others do). What does this mean? Toilets have to be acceptable, with entry above the bottom rung in the sanitation ladder. And something, someone, has to provoke and inspire a cultural revolution, an upending of values, confronting purity and pollution, Gandhian but beyond Gandhi and fitting for the 21st century. India needs another Kamal Kar to invent and inspire a new approach, to stand ideas of purity and pollution on their heads. Someone with passion and charisma to inspire a transformation, to launch and energise and sustain and spread a movement – Culture-Led Total Sanitation, a new CLTS. 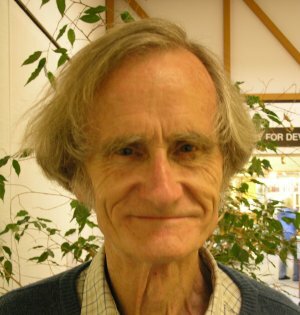 Robert Chambers is a Research Associate and a member of the CLTS Knowledge Hub at IDS. l'm writing from kédougou in sénégal and l work in an NGO witch called "ONG LA LUMIERE". We are working in many projects that defende people "women et kids" again trafiquing and discrimination based on the gender. I myself interested by the gender but my english is very but. And, l wounder if you have to work with french people like sénégal. If, yes, you can visite our site or contact me by my email. And, please, share documents in french if possible.